Steven Gerrard has decided to hang up his boots and retire from football after a 19 year career. A sad day for football, and in particular Liverpool supporters. Gerrard started off under manager Gérard Houllier at the age of just 18 making his debut on the 29th of November 1998 in a Premier League match against Blackburn Rovers. Coming on as a late substitution, no one knew who the kid was. Who would have thought that a young Scouser brought up in Huyton, Merseyside would become a football icon around the world, and that he became. Gerrard’s career at Liverpool started off just as you would expect, he sparked the team into life and became a regular in a very short space of time. Gerrard scored his first senior goal in a 4–1 victory over Sheffield Wednesday. In the 2000–01 season Gerrard made 50 starts in all competitions and scored 10 goals as he won his first major honours with Liverpool – the FA Cup, Football League Cup, and the UEFA Cup. 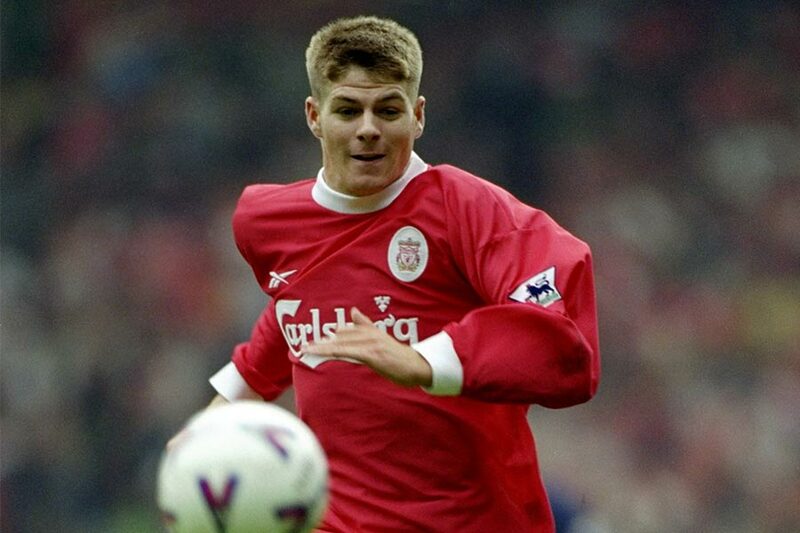 Steven Gerrard was destined to become the captain of Liverpool Football Club. It was written in the stars. Gerrard replaced Sami Hyypiä as Liverpool captain in October 2003, as manager Gérard Houllier said that he recognised Gerrard had demonstrated leadership qualities early on. What a call Houllier, what a call. 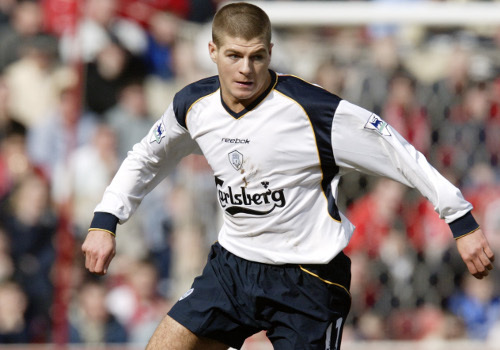 The season 2004/2005 was probably the season that changed Steven Gerrard’s life. Liverpool needed a win and needing three to go through against Olympiacos to progress through to the next round of the Champions League. The game looked to be seen out by Olympiacos who could see the finish line, up steps Steven Gerrard. In the 86th minute, Jamie Carragher crossed the ball into Niel Mellor’s head who cushioned it for Gerrard who absolutely hammered the ball in the back of the net to send Liverpool into the next round. Words do not do it justice, so watch the video below and relive the night. Gerrard and Liverpool made it into the final of the Champions League that season and participated in arguably the best final, ever. Liverpool ended up 3-0 down against the best team in AC Milan that day. Dreams and hopes washed away for what seemed a devastating loss, but that was not the case. Gerrard leaped in the 54th minute to score a bring the comeback on with an unbelievable header. It was not just a goal from Gerrard, it was hope. The celebration of Gerrard throwing his hands in the air, rallying the Liverpool reds to keep fighting is what Gerrard was all about. A leader, inspiration and hero. Liverpool went on to win on penalties. Gerrard was lauded as the catalyst for the second half comeback, and rightly so, without him, Liverpool may have not achieved their 5th Champions League trophy. Gerrard was named the Man of the Match, and later received the UEFA Club Footballer of the Year award. The 2006 FA Cup Final, otherwise known as ‘The ‘Gerrard Final’ was just another game in the long list of Gerrard highlights. Liverpool were losing 2-0 to West Ham in the FA Cup Final and had it all to do. Surely not another comeback? Just before half-time Gerrard played a ball into the West Ham penalty area, which was met by striker Djibril Cissé, who scored to make it 2–1. Liverpool then equalised in the 54th minute, when, yep you guessed it, Gerrard volleyed home. West Ham then grabbed what looked like the winner to make it 3-2. With full-time looming up stepped Gerrard, from 35 yards volleyed the equaliser in the 90th minute to take the game into extra time. How did Liverpool supporters survive two such heart wrenching finals in such a short space of time? Liverpool went on to win it on penalties. Thanks again, Captain. Steven Gerrard went on to win many more trophies and individual honours as a Liverpool player and without him, who knows where the club would have been. Steven Gerrard is the only player to score in an FA Cup, League Cup, Champions League and UEFA Cup final. Gerrard is a player many football fans will tell their kids about. A player who was only focused on playing football and winning games. A role model to many including myself. You don’t get many Steven Gerrard’s nowadays. Loyalty, passion and heart is very difficult to come across. The fact so many young midfielders all over the world talk of becoming a ‘Gerrard’ is a testament to what he meant to everyone around the world. Thank you Steven Gerrard for being my hero growing up and giving me and everyone associated with Liverpool memories that will last us for eternity. Former players also hit social media to show their achkowlegment to Steven Gerrard. Many players come and go, but there will never be another Steven Gerrard.